A crossing guard died in Simi Valley on December 18 after being hit by a vehicle that jumped the curb after a collision involving 3 cars. 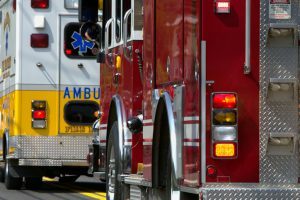 The woman, 62, was apparently setting up safety equipment to help children cross the street at about 2 p.m. near the intersection of Los Angeles Avenue and Socrates Avenue when the accident occurred. She was taken immediately to a local hospital and died shortly after arrival. The crossing guard’s name is being withheld pending notification of next of kin. Neighbors noted, however, that she was a vibrant woman who had recently retired and was simply helping out a coworker that day. The accident occurred near Arroyo Elementary School in Simi Valley. The Simi Valley Police Department is still investigating the causes of the accident. Tire tracks of the blue Chevy Cruz that jumped the curb were visible on the lawn where the guard was struck. The Simi Valley Unified School District issued a reminder that drivers need to drive safely in and around the neighborhood’s schools. This is the second accident involved a crossing guard this year in the school district. The first victim survived. Police have asked that anyone with information concerning the crash, including videos or other images, contact them. Accidents like this in the Los Angeles area show how dangerous car accidents can be both to motorists and pedestrians. People can be injured or killed by direct collisions, the choices of other drivers, and even while being a bystander to an accident. The Ellis Law Firm has two decades of experience in investigating and litigating car accidents in Southern California. If you want to discuss your car accident or pedestrian accident, call a car accident lawyer at Ellis Injury Law at 310-641-3335 today. Klemack, John Cádiz and Shahan Ahmed. Crossing Guard Killed in 3-Car Crash Near Elementary School in Simi Valley. NBC Los Angeles. December 18, 2018. https://www.nbclosangeles.com/news/local/Crossing-Guard-Killed-in-Crash-Near-Simi-Valley-Elementary-School-503096651.html. A 27-year-old woman out looking for a dog was hit and killed by a passing car in Panorama City on October 8. The accident happened shortly before 3 a.m. The driver, a 21-year-old man, remained at the scene and was tested for alcohol. Police indicated that neither alcohol nor speed seemed to have been a factor, however. Footage of the car shown on CBS news, however, indicated that the area was very dark at that time in the morning. The accident occurred in the 8200 block of Burnet Avenue. The woman appeared to have been looking for a neighbor’s dog, which has since been found. Neither her name nor the name of the driver has been released. Family members of the woman were alerted immediately about the accident by a witness. Some of them approached the driver. Police were called to maintain order. The tragedy highlights a recent spike in pedestrians being killed by car accidents. Between 2006 and 2016, the number of pedestrians fatally struck by a vehicle climbed 12%. During 2015, the last year for which statistics are available, 5,376 pedestrians were killed by cars nationwide — 15 people every day. While it’s not possible to comment on what caused the October 8 accident, certain comments can be made about liability in pedestrian crashes. In any accident, motorists and pedestrians are both responsible for obeying the rules of the road, any laws, and regulations. Motorists must drive safely, for example, keeping an eye out for pedestrians as well as other cars. The vehicle’s safety equipment, such as headlights and horn, must be in proper working order. The drivers must obey the speed limit. Pedestrians have the right of way if they are crossing a street. Pedestrians must follow the rules of the road, laws, and regulations as well. They should cross the street in designated areas if there is one. They should walk on a road on the shoulder or the edge, in the same direction as the traffic. In addition, pedestrians are urged as a safety measure to wear bright or white clothing and reflective material so they may be seen. It is also a safety measure to carry a flashlight at night so they can be seen. Pedestrians should watch out for cars and be aware of traffic patterns. A court may find either driver or pedestrian negligent in an accident if they have not followed rules of the road, laws, regulations, and basic safety precautions. In addition, of course, neither should have been drinking. A court may also determine that each party is negligent to some degree. If this happens, any monetary damages one party receives may be reduced by the percentage they are deemed liable for the accident. The Ellis Law Firm aggressively represents victims of car accidents in the Los Angeles area. If you or a loved one has been hurt or killed as a result of injuries caused by a car in a pedestrian accident, or other type of accident, please contact us today at 310-641-3335. We have two decades of experience in California law. Our consultation is free. We will perform a thorough case review and advise you of your rights. We will fight for those rights. For a child, Halloween is an exciting time to get dressed up and acquire as much sugary loot as possible. But for parents, Halloween can be a bit scary. They know that, in the midst of the goblins and witches roaming the streets lurks a real danger: The potential for pedestrian accidents. Compared to other days of the year, twice as many young pedestrians are killed on Halloween. 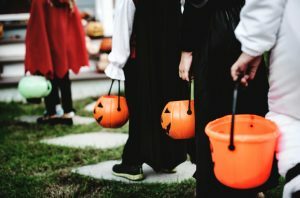 That’s according to Safe Kids Worldwide, which also notes that about 12% of kids five years of age and younger are allowed to go trick or treating without their parents. How old is old enough to go out alone? One of the most effective ways to keep your child safe on Halloween is to go out trick or treating together. You know your child best. Consider your child’s maturity level and awareness of traffic hazards when deciding how old is old enough for your child to go out without you. Generally, it’s recommended that all kids ages 12 and younger be accompanied by an adult. How can parents choose the safest possible costumes? There are a lot of safety hazards to consider when choosing a Halloween costume, including flammability and whether toxic materials are a concern. But in terms of traffic safety, the number one consideration is visibility. Choose a costume with lighter colors and add reflective tape. You can also give your child a glow stick, but only if your child is old enough not to bite it. Hundreds of children have been treated in the ER for ingesting the fluid inside glow sticks. Another option is a string of blinking LED lights that is intended to be worn around the neck. Before every Halloween, sit down with your child for a traffic safety talk. No matter how old your child is or whether you’re going out together, your child can benefit from being reminded of the potential hazards. Remind your child to always travel on the sidewalks, look both ways before crossing a street, and assume that drivers can’t see them. Your child should also know that Halloween is a prime time for drunk driving. Even if your child is crossing at a red light, your child must wait for an approaching car to completely stop—just in case the driver is impaired and runs the stop light. The serious injury of a child is every parent’s worst nightmare. Always rush your child to the ER or call 911 right away. Even if your child insists that he or she isn’t seriously injured, there could be internal injuries that you can’t detect. When the dust has settled and you’re starting to think about holding the responsible party accountable for their negligent or reckless actions, Ellis Injury Law is here to help. Our car accident lawyers in Los Angeles are seasoned litigators who routinely handle pedestrian accident lawsuits. We can help your family move forward from the accident by seeking compensation on your behalf. Call today 888-675-8254 to request a free consultation. Runners are a tenacious group of athletes. Inclement weather, darkness, and routine road hazards will never keep determined joggers from completing their daily runs. 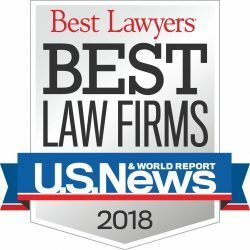 The pedestrian accident lawyers at Ellis Law Corporation in Los Angeles respect the efforts that runners make to exercise outside in any conditions. 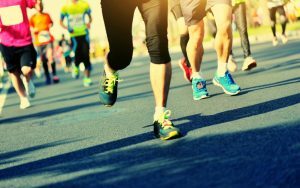 When runners are sidelined in pedestrian accidents with careless motorists, we fight to get runners the compensation they need to rehabilitate from injuries and to get back on the road as quickly as is possible. The great majority of runners know that they can increase their own personal safety by wearing bright clothing that is more visible to drivers and by running against traffic. Runners can further increase their own safety by following these five guidelines. 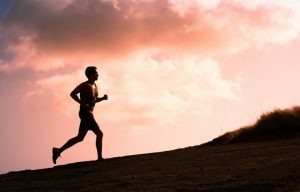 If you give someone else information about where you plan to run and you do not return from your run within a reasonable amount of time, that person will have a much better opportunity to find you if you have experienced a problem. Running may be a solitary endeavor, but you do not forfeit any of the solitude of a run if you disclose your planned route to somebody else. You can also track your run in real time with apps on your smart phone, and allow your friends to see your route as it progresses. If you get lost or you experience a mishap, your ID will help first responders to reconnect you with your friends and loved ones. Cash or a payment card will help you to get back home if you suffer an injury that prevents you from running. Hills are the bane of many runners for reasons other than safety, but runners should never ignore the safety hazards that a hill might also present. Drivers are unable to see anything on the other side of a hill as they approach its crest. If you are approaching the crest of a hill, take extra precautions to avoid drivers who are coming up the other side of that hill. Music and podcasts might motivate runners through their daily workouts, but the earbuds that runners wear will also block out traffic sounds that might alert runners to potential safety hazards. Use your earbuds when you are running on trails or in other areas that are not accessible to cars, but leave them at home if you have to run in areas that have a high traffic density. The popularity of running has spawned running clubs throughout southern California and the United States. Almost every runner can find a group that matches his or her running abilities and that have organized fun runs and group events at all times of the year. Runners may prefer to run alone, but there will always be strength in numbers where safety is a consideration. California’s respective car and running cultures are often at odds with each other. A runner is no match for the bulk and momentum of an automobile in a pedestrian accident. 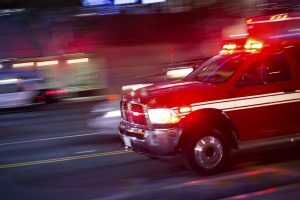 If you have been struck by a car while you were running in Los Angeles or elsewhere in southern California, call the L.A. pedestrian accident lawyers at the Ellis Law Corporation for an analysis of any claims you may have against the driver that caused the accident. We will review all of the facts of your jogger accident and, if warranted, we will fight to recover the highest amount of compensation that may be available to reimburse your medical and rehabilitation expenses and any other damages that you might have suffered. Runners in southern California are very fortunate that they can indulge all year around. It makes for great fitness levels, whether you run along the beach, in the Los Angeles hills, or just get your running cardio in around your neighborhood. What’s the best gear and accessories for runners this year? There are as many opinions as there are runners, but here is a list of some top gear, tech, and accessories. Every summer, the online edition of Outside tells its readers the top picks for running shoes. This year, the top 2 picks are the Saucony Peregrine 8 and the Invo8 Talon 290. The Saucony Peregrine 8 is rated highly because it returns energy for the energy you expend. It is particularly recommended for technical trails and mud – yes, mud. It does rain here, and running can be slow going when it comes. Checking their heart rate before and after is something runners commonly want to do. They may or may not want to check their phone after a run. But, let’s face it, a phone is convenient. Plus, it’s a way to plan your route, call for aid if you ever need it, and take pictures upon attaining the summit. The way to have both a heart monitor and a place to carry a phone is the Shapeheart Armband, one of the year’s best tech offerings. The Shapeheart’s case is magnetic, so getting the phone out is very convenient. Fanny packs have been with us forever, but they aren’t great during a run. They bounce up and down and can be annoying. Enter the FlipBelt. It’s a carrying case you wear, but it’s flat and therefore doesn’t bounce. You can also carry a phone in this, as well as cash or credit cards. You can even buy bottles of water that have been designed to fit in the FlipBelt. All you have to do is simply pull the fabric tube up around your waist, fill it with anything and everything you may need on a run – credit card, phone, energy gels, emergency change – then flip it over. Just like that you have everything you need conveniently tucked around your waist. Running in southern California can be a dream. But it’s not a dream if you or a loved one is injured by a vehicle, bicycle, motorcycle, or even by a pothole. Other vehicles and unforeseen conditions can cause pedestrian accidents, despite safety precautions. Ellis Injury Law has been successfully litigating pedestrian accidents in Los Angeles for over two decades. Let us help you if you have been injured while running or walking. Contact us today at 310-641-3335 for a complementary consultation with an experienced pedestrian accident lawyer in LA. 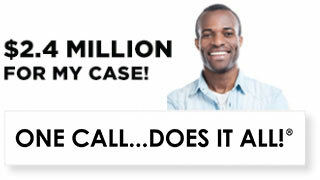 We will advise you about your case at no cost to you. A car suddenly swerved out of a lane at Los Angeles International Airport (LAX) on Thursday, June 21, hitting a person sitting on one of the benches in the terminal. LAX police noted that neither the driver, who was alone in the car, or the person hit was seriously hurt. Both were listed in stable condition, and the pedestrian was being examined for cuts or bruises. While the investigation is currently ongoing, police believe that the driver may have swerved due to a medical condition. Observers said that the car made a frightening bump when it hit the bench and the pedestrian. The vehicle, a Toyota Prius, had a crumpled passenger side. It’s not possible to know the causes of this particular accident since the investigation is still ongoing. It is, however, possible to make some general observations about the law that surrounds vehicles and pedestrians in the state of California. The person sitting on the bench would be classified as a pedestrian because that person was on the side of a roadway. Drivers have a duty of reasonable care when they get behind the wheel of a vehicle, to everyone. That includes fellow drivers, their passengers, other vehicles, pedestrians, motorcyclists, and bicyclists. Reasonable care includes following the rules of the road, paying attention to traffic conditions, climate conditions, and any other factors which could affect driving conditions and safety. Pedestrians are expected to follow the rules pertaining to them. They should not dart into areas reserved for moving cars, for example. If there are crosswalks or pedestrian stop signs, pedestrians need to follow them. If there are designated areas for pedestrians, such as terminal benches, they should use them. In legal cases, one party can bring suit against another if injuries or death has been caused in an accident. One party may be found responsible for damages if they are deemed negligent by the court. “Negligent” means they didn’t exercise reasonable care. A driver going at 50 mph in a 25-mph zone, for example, could be found negligent because exceeding the speed limit failed to exercise reasonable care. There are far too many accidents involving cars and pedestrians in Los Angeles. If you or a loved one ever need a seasoned pedestrian accident attorney in southern California, call the attorneys at the Ellis Injury Law Firm. We have successfully litigated cases like these for 2 decades, winning maximum compensation for our clients. Trust in our track record — we have won 99% of the cases we take on! 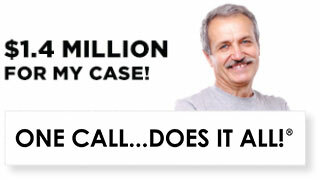 Please call today at 310-641-3335 for a free initial consultation. 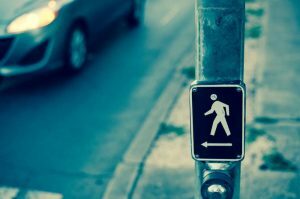 The reputable Insurance Institute for Highway Safety (IIHS) recently released a paper studying the rise in pedestrian fatalities during 2009 to 2016. The authors found that, during this short time period, 46% more pedestrians lost their lives in accidents compared to previous years. The surge in fatalities is alarming to public safety advocates, some of whom have suggested technological and road design improvements that may help curb this rising trend. The study authors evaluated data extracted from the Fatality Analysis Reporting System and General Estimates System. They examined the linear progression of changes during the study period in both pedestrian deaths per 100 crash involvements and in horsepower per 1,000 pounds of weight. Poisson regression was examined to evaluate factors such as roadway, environmental, personal, and vehicle. The results indicated that, during the study period, pedestrian deaths reached their low period in 2010. From 2010 to 2015, pedestrian deaths per 100 crash involvements increased 29%. During the entire study period, the largest increase in pedestrian deaths occurred in urban regions. This represented a 54% increase. On arterial roadways, there was a 67% increase in deaths, and at non-intersections, there was a 50% increase in deaths. Crashes in dark conditions increased too, with a 56% rise in fatalities. Additionally, the number of SUV involved in fatal pedestrian accidents increased by 82%. The authors at the IIHS concluded their study by suggesting that transportation agencies focus their efforts on areas that represented the greatest increases in pedestrian fatalities. Specifically, the authors recommended that urban arterials be improved by road diets, median crossing islands, pedestrian hybrid beacons, and automated speed enforcement. The visibility of pedestrians during nighttime hours could be enhanced with better vehicle headlights and better roadway lighting. Here in Los Angeles, Mayor Eric Garcetti recently launched a high-profile campaign to end traffic fatalities entirely. The overall number of traffic fatalities, including pedestrian deaths, has indeed fallen slightly. Recent statistics show that during 2017, there were 244 traffic fatalities, including drivers, motorcyclists, bicyclists, and pedestrians. This is a six percent decline in traffic accident deaths. However, pedestrian fatalities have surged in Los Angeles. In 2015, 74 pedestrians were killed on the city’s streets. During 2017, that number increased to 134. 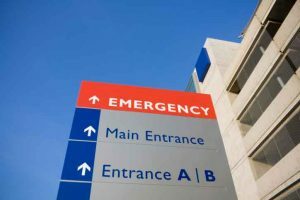 Were you affected by a pedestrian accident in southern California? At Ellis Injury Law, our pedestrian accident lawyers in Los Angeles provide vigorous legal advocacy services to victims and their families. We firmly believe that one life lost is one too many, and we’ll do everything possible to help your family pursue justice in the court system. We invite victims or their family members to schedule a complimentary, no-obligation case review at our law firm. Call us toll-free at 888-828-5603 or fill out the contact form on our website. When Bicycles Hit Pedestrians: Who’s to Blame? The number of bicyclists in Southern California has grown significantly as more people use this eco-friendly mode of transport for daily commutes and healthy recreation. Although biking is a relatively easy activity that can be enjoyed by people of all ages, accidents can and do happen. There are weekend warriors who casually pedal in the wrong lanes, occasionally ignoring crosswalk signals, stop signs or encroaching on sidewalks earmarked for foot traffic. And then there’s the dilemma of shared spaces – pathways that are used by both bicyclists and walkers. When a cyclist hits a pedestrian and injuries result, who’s to blame? In accidents where property damage and physical harm are involved, it all comes down to who breached their respective duty of care. Just because you were the knocked-down pedestrian or bicyclist does not – in and of itself– establish fault. In these cases, insurance companies and the court determine liability based on laws of negligence. Pedestrians owe a certain duty of care to others who are sharing the roadways or sidewalks. They are expected to exercise caution to avoid accident and injury. 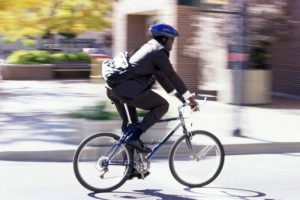 Distraction plays a large role in bicyclist-pedestrian accidents. Pedestrians who are engaged in conversation, walking their dogs, texting or listening to music, are at greater risk for an accident. Bicyclists, just like pedestrians, are under a duty to exercise the same level of caution to prevent accident or injury to others. Recent data on bicyclist-pedestrian collisions in California is sparse. The most recent study, published in the journal of Safety Research, indicates a downward trend in these accidents. Between 2005-2011, 6,177 pedestrians in California were involved in accidents with cyclists. The majority suffered injuries to the neck and head and were treated on an outpatient basis. Not everyone escapes serious injury, however. In 2016, a reckless bicyclist knocked down an elderly woman who was using a marked crosswalk on the LA River Path. It was a hit-and-run accident that left the 64-year-old woman with severe injuries requiring hospitalization and surgery. Establishing negligence in a pedestrian-cyclist crash requires the investigative prowess of an experienced attorney. Headquartered in Los Angeles, the Ellis Law Firm has a long track record of success handling personal injury claims in Southern California. Our award-winning team is committed to achieving the compensation our clients need and deserve. To discuss your case with an experienced pedestrian accident lawyer free of charge, call 310-641-3335. Los Angeles, with its mild weather and beautiful landscapes, has dozens of scenic running trails for those who want some heart pumping exercise. There’s no need for a gym membership when you have access to scenic lakeside paths, rolling coastal roads and countless parks that offer the perfect backdrop for a cardio workout. It’s no surprise then that L.A. and the surrounding communities host some widely-attended races, marathons and fundraising running events. Here’s a round-up of upcoming running events in 2018. The Surf City marathon is one of Southern California’s most iconic running events. This year’s race will be held February 2-4, 2018 in Huntington Beach and registrations are filling up quickly. Join more than 15,000 runners from all over the country on Super Bowl Sunday and enjoy a beachfront race on the stunning Pacific Coast Highway. This year, organizers have added a 5K and a Kids Cowabunga Beach Challenge with surfboard medals for all distances. Participants will have free shuttle service to start and finish areas, and as usual, there will be plenty of swag. The Winter Blast fun run in Long Beach is just around the corner! The family-friendly event will take place on February 3, 2018 with a start time at 7:30 AM. Registration is allowed on race day, with the following fees: 5k $30; 10k $35; 15k $40 and Half Marathon $45. There are aid stations stocked with water, energy drinks and snacks, and the open course invites a more relaxed, personal running experience. The races are clock timed with results posted the next day. This fun run traverses historic Griffith Park, where participants are treated to panoramic vistas of the Observatory, the iconic sign and downtown L.A. Both the Griffith Park 6K and Hollywood Sign 12K begin at 7AM on Sunday, February 11. The trails are rugged but well-marked and dotted with fully supported aid stations. The race is chip-timed for accurate results, and all participants will get free photos, a finisher medal and race T-shirt. Registration ends on February 9, 2018. Created in 1986, the L.A. Marathon is among the biggest and most prestigious in the country, with more than 25,000 participants and thousands of fans cheering them on. Participants can opt to complete the entire marathon or run it as a relay. There is also a 5K event for those who are not up to the 26.2-mile challenge. The race starts at Dodger Stadium, passing by some of the city’s most iconic attractions, before finishing at Santa Monica beach. The 2018 LA Marathon is on Sunday March 18; registration for the event is open but filling up fast. Fatal collisions between runners and distracted motorists are occurring with alarming frequency in California. Whether you’re a weekend warrior or in serious training for an upcoming marathon, it’s important to protect yourself, stay alert and run defensively. Those who run daily or for long distances face many hazards, and Los Angeles remains one of the most dangerous states for pedestrians. Speak to a Los Angeles pedestrian accident lawyer at Ellis Injury Law if you’ve been harmed while running. We provide high caliber personal injury representation backed by 25 years of experience. 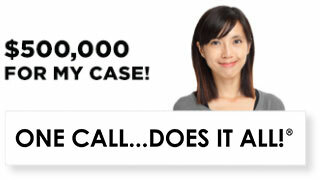 Explore your legal options by calling our El Segundo headquarters at 310-641-3335 for a free consult today. We charge no fees unless we win money for you! In southern California, we enjoy an average of 266 days of sun per year. So despite our city’s popular association with freeways and cars, we jog, we run, we do everything we can to enjoy the sunshine outside. And that’s to say nothing of enjoying the beaches, the mountains, and the gleaming spires of downtown. One of the best ways to enjoy this beautiful sun-drenched scenery is by jogging. Paths to jog abound. Here are 3 of the best jogging routes in Los Angeles. If you want to jog in a Los Angeles landmark, look no further than Griffith Park. At 4,300 acres, it’s in the list of top 10 (in size) parks owned by a city or other municipality. Some popular jogging trails are Griffith Park Drive starting at the Los Feliz Boulevard/Riverside Drive entrance, Crystal Springs Drive in Park Center to the Zoo, and Zoo Drive to the Travel Town Museum. There are multiple attractions in Griffith Park for when you cool down, among them the Griffith Park Observatory, where Mia and Sebastian danced in La-La Land. Parts of the 1950s classic film Rebel Without a Cause were also filmed there. Since the Rose Bowl is coming up, why not celebrate it early (or later) by jogging the Rose Bowl Loop in Pasadena’s Arroyo Seco? The Arroyo Seco contains over 22 miles of trails that can be used for jogging, as well as hiking and riding horseback. The 3-mile Rose Bowl Loop is probably the most well-traveled. You’ll jog around Rose Bowl Stadium and by a golf course for greenery. The Loop also provides breath-taking views of the arroyo that gives the area its name. Want an oceanfront run? Look no further than Santa Monica’s Palisades Park run, right along Ocean Avenue. If you jog from Ocean Avenue and San Vicente Boulevard to the Santa Monica Pier, you will have done about 3 miles. You’ll share the path with runners and tourists looking at the beach. The path is sand and earth. Once you’re at the Pier, you’ll be able to enjoy the rides, the sights, walk along the beach, or nurse some cotton candy. Despite the abundance of jogging routes, traffic is not always the jogger’s friend in southern California. While vehicles and bicycles should yield the right-of-way to pedestrians in normal conditions, accidents can happen. For a pedestrian, being hit by a car or bike can cause traumatic injury, as the pedestrian has no protection. Ellis Injury Law has been successfully litigating pedestrian accidents in Los Angeles for more than 20 years. Let us help you if you have been injured while walking or jogging in LA. Contact us today at 310-641-3335 for a complimentary consultation. 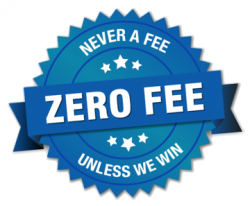 We charge no fees unless we win your case!